Come Join us on Feb. 10 at 9AM! Following a corporate career in Continuous Improvement Barbara Keller-Willy founded and is now director of the statewide non-profit Monarch Gateway. As a member of the Texas pollinator planning committee, the organization roles down national and state pollinator policy and initiative to the regional level. Monarch Gateway facillitates the creation of regional pollinator action plans with interested cities, municipalities and private landowners to ensure adequate pollinator habitat exists for the threatened migratory population of the monarch butterfly and other native pollinators. Monarch Gateway grows and distributes native milkweed to partnering landowners willing to sustain habitat long-term. To date 10,300 acres of habitat have been created or enhanced with native milkweed across Texas. You might recognize bees and butterflies as pollinators but what role do other animals around us play in pollination? You would probably say a hummingbird is a pollinator but what about a white winged dove? What do ants and flies have to do with pollination? 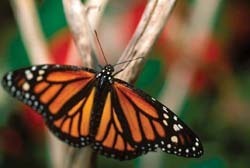 Have you ever seen a cutting device on a monarch butterfly and why might they have one? Did you know the City of Pearland is creating a very special pollinator habitat for the pollinators of Pearland and those that migrate through the city? Join us for a fast paced discussion about the behavior and needs of the pollinators around us. Learn about strategies being implemented in our area, whether they are working and what you can do to contribute.